To give you the best solution, we have included the Satake Optical Sorters as part of our range of machines. We offer a variety of Colour Sorters to match your business objectives. As part of our partnership agreement with Satake, we have also taken over Service on the machines listed below in the German speaking area as well as Denmark and Sweden. Compact Optical Sorting Machine. 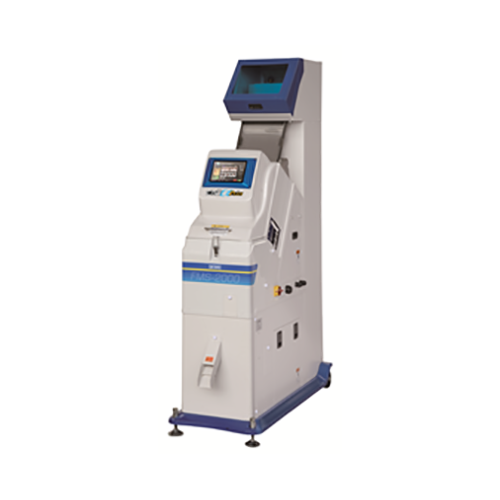 The Satake Pikasen Alpha is an automatic, cost effective, full colour, portable optical sorting machine for small and medium commercial applications, pre-production lots and laboratory use. Efficient Medium Capacity Sorting Machine. The Satake REZS is a medium size optical sorting machine with full colour RGB technology and primary and secondary resort options that are easily changed by the user to adapt to different product and capacity needs. The Satake REZX optical colour sorter range consists of cost effective, high capacity, machines featuring the latest full colour RGB cameras and shape recognition technology. Intelligent and intuitive software and flexible configurations make it perfectly suited for medium and large commercial use. The RGBR optical sorter range offers a high capacity solution for removing inorganic and foreign material and product defects making it ideally suited to commercial use. The RGBR range recognize subtle colour differences contributing to an improvement of the final product quality and is also able to sort materials by shape and length. Multiple wavelength technology optical sorting machines. The EVOLUTION® is the ideal platform and series of sorters for detecting and sorting/separating by subtle shade and colour differences, speck defects, shape, foreign material, insect damage, mould, decaying product, etc. Range includes: EVOLUTION RGB, EVOLUTION RGB + SHAPE, The EVOLUTION MIR (Multi-Wavelength Infrared). The RGB full-colour series is ideal for multiple coloured applications or minor shade differences. The MIR sorter line is configured to remove defects in the tough to monitor IR wavelengths. High ejector density design for concentrating the rejected fraction. Movable screen to observe the defect image data during product set up.